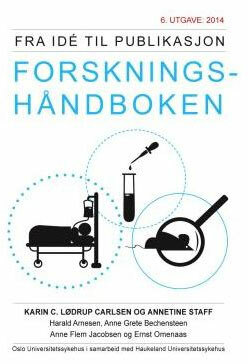 An new English version of "The Research Handbook- from idea to publication" is available on Oslo University Hospital website as of August 27 2015. The website presents both a Norwegian and English updated version of the Handbook, including simple "Downhill Ski Tracks" for Researchers, PhD students and their projects. The Research Handbook is designed to provide guidance to hospital personnel,health researchers and biomedical researchers who would like to convert an idea into a high quality research project. The published version provides several local tips from Oslo University Hospital, Haukeland University Hospital, University of Oslo and University of Bergen. The Research Handbook is designed as an aid for both inexperienced and experienced researchers looking for easy access to information. The Handbook covers a variety of topics that are essential to researchers when translating an idea into a research project with publishable results. URLs to websites where the reader can access detailed information are listed in alphabetical order in the appendix, together with the English translation of some Norwegian research terms and bodies of interest.